Your soul in one word! 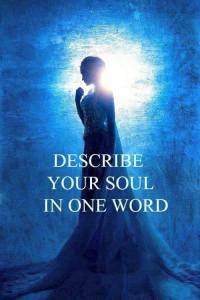 “Describe your soul in one word” was the teaser recently posted by ‘Aura & Soul Psychology’ on Facebook and since then the responses have not disappointed! More than 90% of comments could well pass for a catalogue of the most uplifting words conceived by man! The icing on the cake is that love and love related words tops the list! Without doubt, the post has generated a lot of positive vibes; the negative responses like confused, despondent, damaged and blocked were far in-between and drowned in the flow of positive energy…….just then I asked myself, do we really have that many “good souls” around? Could it be a case of Creation’s Law of the Attraction of Homogeneous Species (birds of the same feather flock together) at work, such that the Aura & Soul Psychology page unconsciously attracts mostly like-minded souls as Facebook friends? What a great shot of Jack Frosts art… Thanks for sharing this pic with us Andy! An interesting read, I hope that you are wrong but fear that you may have hit the nail on the head Farhad… Are gadgets really dead?